I have a fondness for Siberian Huskies. 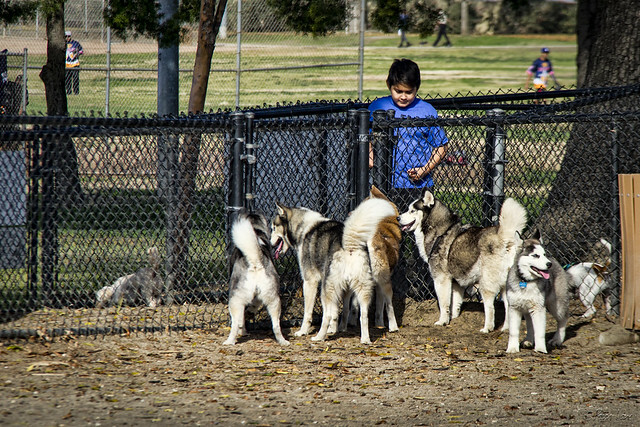 So I was excited to see nearly enough huskies at the David R. Gafin Dog Park (at Rio San Gabriel Park) to make a sled team! "You're not fat, you're just a little husky!"